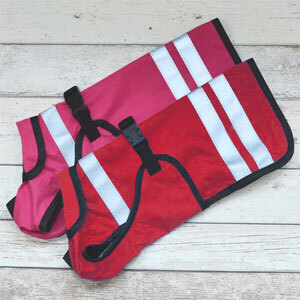 These lightweight waterproof dog raincoats have underbelly cover, protecting your dog's back and chest from mud and rain. Available in standard or made to measure sizes for a perfect fit. These lightweight lining-free coats are perfect for dogs who like to be protected from the rain but don't want or need an extra layer. The thicker, warmer lining in many dog coats can make some dogs hot and uncomfortable. 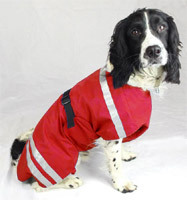 If your dog just wants a lightweight raincoat to keep them dry in wet weather, this is the coat for them. 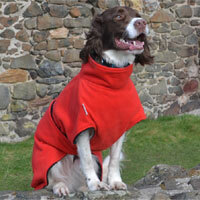 These coats also feature a protective underbelly and are made from an extremely waterproof coated microfibre. 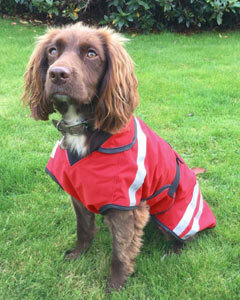 The inner lining is a lightweight, breathable black Airtex, making this possibly the best dog raincoat ever made. Woof! 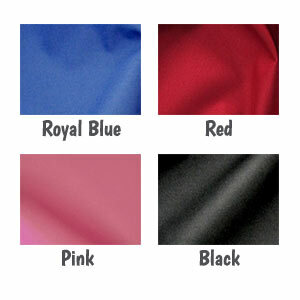 The outer peached coated microfibre (the material feels like the skin of a peach) is a light technical sportswear fabric which is both waterproof and breathable. 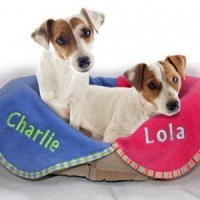 Perfect for those romps in the great outside, whatever the weather. 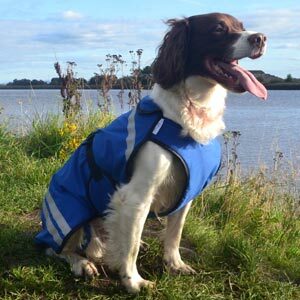 Stops your dog getting wet on rainy days whilst the sports fabric and Airtex remains breathable for your dog's comfort and health. Three wide reflective strips aid visibility in low light and add that all important safety feature. The coat slips over your dog's head via an elasticated v-neck, which makes it easier to put on and take off whilst also giving a more comfortable fit. 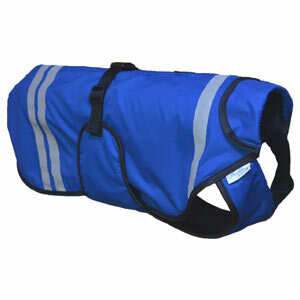 It has an underbelly strap to keep your dog's chest nice and dry. The coat fastens with an adjustable strap and buckle that goes around the middle. 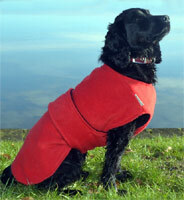 The collar of the coat can be folded down or up against the dog's neck for extra protection. Each item is made with great care and beautifully finished in every detail. The colour co-ordinated elastic leg straps can be used to keep the coat in place. This is especially useful on windy days. The straps are made from the same peached fabric as the main body of the coat so it doesn't catch on your dog's fur. Machine washable at 40 degrees. Do not use fabric conditioners or softeners as this can affect the waterproof properties of the microfibre outer. Tumble drying is not recommended and do not iron. I was after a lightweight dog coat that fully covered my dog without riding up and did not make him too hot. This coat is exactly what I was looking for. The loops for his legs are great! Thank you! The bespoke coat is a perfect fit. 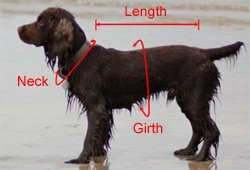 I wanted a lightweight coat for my cocker spaniel to wear in wet weather but not be too warm. Very impressed with quality and look of coat. Very happy indeed with our custom made purchase from DforDog. Fits perfectly and we feel the rainproof dog jackets are of very good quality. We would definitely use DforDog again in the future. Order a blue and a red in intermediate for a cocker and a springer spaniel. Sizes are good (was a little nervous of my measurements due to no return policy on made to order items - which is understandable). They look nice a comfortable and don't seem to hinder movement. Will test thoroughly in the rain later this evening! Very pleased with this product. Just what I have been looking for. More to the point Billy is very pleased to wear it and finds it comfortable to be out walking in the rain now. Thank you. Enquiry re sizes answered very promptly and extremely helpful. 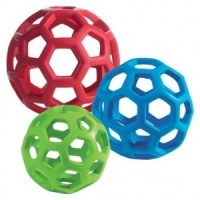 Ordered the large size for my Bearded Collie - it fits perfectly, is easy to get on and off and stays put out on walks. Worn for the first time today. Belle did not get too hot and it made towelling her down after her walk much easier. Fits well, reflective stripes are good. Very pleased. Waterproof coat for our Labradoodle....product appears good quality...fits well and probably the best coat we have purchased so far. The item arrived within a fortnight, well packaģed. Easily fastened with straps and looks good. Would recommend this company and brand. After spending many hours searching for the perfect coat for my toy poodle puppy, I can honestly say I couldn't be happier as this made to measure coat is definitely perfect for our boy. Beautifully made and the super soft, flexible waterproof material means he hardly notices he has it on. I love how easy it is to put on, even on a wriggly puppy. It's secure too and having the quick release buckle means no hair gets caught, unlike with velcro or zip fasteners. 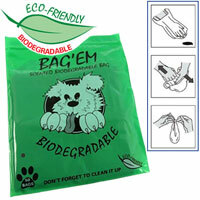 Excellent value for money and a great purchase experience overall from D for Dog which I would highly recommend. Thank you.